The blessed land of Kerala is one of the top most sought after tour and travel destination in the world. From eco-tourism destinations to the serene beaches or from a cool romantic hill to the sprawling tea gardens or from breath taking backwaters to the exhilarating wildlife parks and sanctuaries, Kerala has got all those ingredients which make it a unique experience of a life time. Traveller’s Paradise Column will open up some of the promising destinations of this great land. 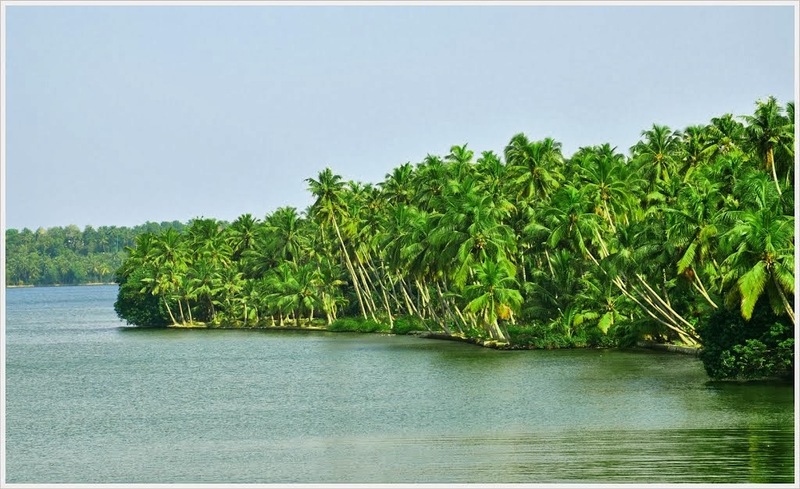 Ashtamudi Lake the gate way to back waters surrounded by red cliffs and swaying coconut palms, is the second largest lake and deepest wet land eco system, finding its way in to the sea through the Neendakara estuary. It’s nearly 12km away from Kollam district. Backwater cruise from Kollam to Alapuzha along the backwaters you can see famous Chinese nets gracefully hanging over the lake. The boat journey through the lakes, canals and water bound villages gives a complete exposure to the beauty of backwaters of the Ashtamudi Lake. Catch a glimpse of one of the many thrilling sights of Ashtamudi Backwaters as the boat man gently dips his paddle, without disturbing the calmness of nature, the ripples spread out gently in the shimmering golden hue of the sun. Come and enjoy the absolute essence of a boat ride with its panoramic and magnificent views that will provide everyone an unforgettable experience. 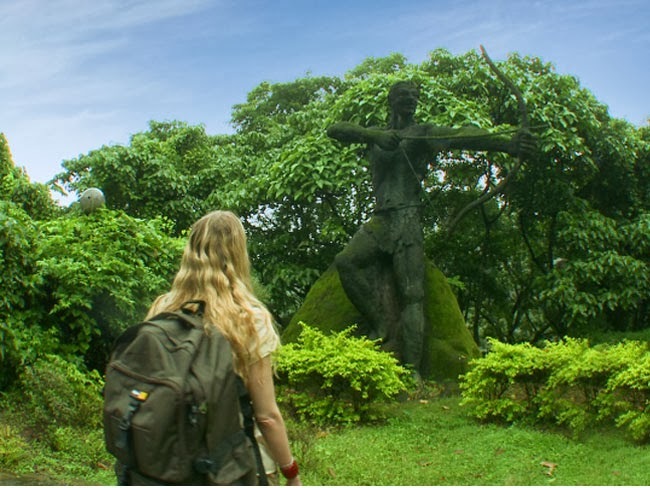 Pack your bags for a dream journey that will take you through some of the Kerala’s most incredible tourist places that offer everyone a remarkable vacation and tour filled in the glory of the nature. 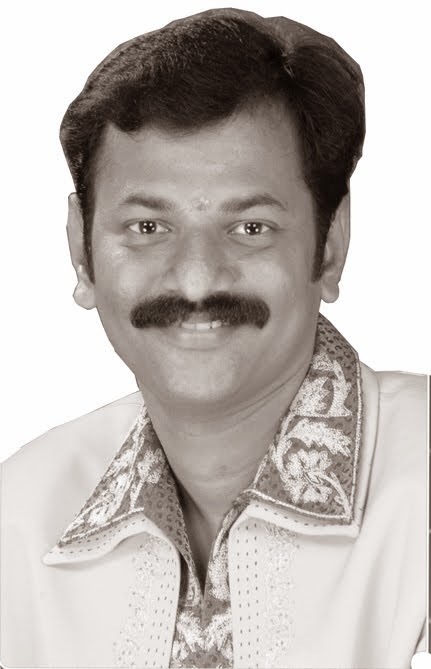 As Paul Coelho said “To realise one’s destiny is a person’s only obligation” Balasubramaniam otherwise known as Magic Balu,the enterprising magician hailing from Tirunelveli district of Tamil Nadu state holds 18 years of daunting experience in the enigmatic art of magic, which makes him an ultimate performer. Basically an Engineer by profession, working with Tamil Nadu Electricity board, is all set to reach here for the 119th Perfect Performer Course to be held on January 11th 2014, where he will be mentoring new inroads into the tricks of close up magic and mentalism. He has got deep knowledge in various forms of Street magic. He is a real performer in all major conventions. He will be sharing his expertise in card magic, coin magic, ball magic etc which will ensure a true mix of close-up magic and moreover he will be concentrating on the major scenarios of pocket mentalism. Please contact 9447768535 (Thiruvananthapuram), 9447072461 (Ernakulam). is the month of resolutions rather commitments people make themselves to improve or change certain habits in the new year, these resolutions gives us a chance to lead a better life. As Cate Tiernan’s The Book of Shadows says “Any time you feel love for anything, be it stone, tree, Lover or child, you are touched by the goddess of magic”. There is a definite element of magic in every aspects of life and magician is a person who creates something from nothing and strives for its ultimate magical perfection to provide unparallel experience for the audience at large. As a magician everyone of us would agree that the passion for magic is not confined to our love of secrets or pursuit for higher knowledge but exclusively driven by the love of sharing the incredible joy of wonder with those who otherwise would never have the privilege to witness it in the way we are capable of presenting it and this is what the magician always strives to achieve. Every piece of magic a magician performs has to accomplish several parameters; first of all it must be elegant, beautiful, it must have emotional content, it has to make sense and it has to be impossible. It also requires totality, adaptability, continuity, and over everything else it has to be an entertaining one. As entertainers the magician always finds his profession to be endless fulfilling. Here the things will be in an extremely difficult mode as every time the magicians will have to increase the reach of thoughts and range of performance to be a perfect performer. Perfection is a must need phenomenon for any art as it increase the set standards to emerge as a stronger and better artist. The strength of a magician will depend upon his physical and psychological variants. As Lev Grossman’s famous book “The magician” says “a magician is strong because he feels pain. He feels the difference between what the world is and what he would make of it. A magician is strong because he hurts more than others. His wounds are his strength.” As the time for new beginnings new promises and new aspirations arrives, I wish that like an angel with a magic wand let the New Year heal all the wounds that has occurred in the past and brighten up your glorious magical skills to be ultimate performers which will bring you all the joy and surprises that you could ever imagine. Once again I wish all my readers a Happy and prosperous Year-2014. The German Magician and one of the youngest world champions in the history of Magic noted for his own musical style of performance, with his virtuosic dexterity, novel effects and great illusions he has been able to succeed internationally for two decades. He creates his own original illusions and performs more than 250 shows a year. He has been world champion of Manipulation twice, winner of the Gold wand and is one of the top ten magicians in the world. He provides the entertainment at its best by combining “Magic, Comedy &illusions”. His major achievements include 2004- Melbourne Christopher award, 2008- World Magic Award- Best Cabaret Male Magic and 2011- Academy of Magical Arts- Magician of the year. His stage shows with wife Roxanne has toured throughout the world and has been featured on programme such as the French “Le Plus Grand Gabaret Du Monde”. For “MAGIC AFFAIRS” Topas and his wife were awarded “Illusionists of the year- 2004” in St Louis USA. They are the only German Magicians performing illusions on tour. For the Centenary of the Magic circle of London, Topas and Roxanne performed their stage show in London. Topas has performed in more than 50 international TV shows such as NBC’s “The World’s Greatest Magic”- Caesar’s Palace, Las Vegas. He was awarded “Grand Prix Maqiques De Monte Carlo”. He performs frequently at the Magic Castle in Hollywood; Los Angeles. Topas ensures the magical feast at its peak by combining magic filled with comedy and his own original illusions. December is the month of cakes and candles. It’s the time of Christmas. December has always seemed like a magical time, especially for children with full of excitement fun and happiness. Christmas waves a magic wand over this world to create wonders. Once again to turn miracles into reality, Magic Academy is ready to organise the International Magic Summit which is going to flourish its wings by the end of coming year for the betterment of this wonderful art form. Magic is the art which utilizes the entire spectrum of senses. Magic comes from the heart, from your feelings, your deepest expressions of desire. It is moreover self belief. You can’t weave together a spell that you don’t believe in. As Johann Wolfgang said, “Magic means believing in yourself, if you can do that, you can make anything happen”. At its best, Magic is a truly powerful medium that can create unforgettable effects in the minds of audience, from thousands of people in a theatre to a small group around a table. Sometimes for the spectators a great magic feast is worth a life experience. Likewise, the International Summit is going to be a miracle filled with lifelong experiences for the Magicians all across the world. On this beautiful Eve of Christmas, when the carols are played at streets, children go to sleep early so as not to miss out gifts from Santa Claus. Before blowing off the lamps and going to bed, just look at the Christmas candles as it is a lovely thing to watch. It makes no noise at all, but unselfishly it grows small and slowly gives itself away. As the year 2013 is going to fade away slowly from our memories, let us ensure once again the closeness of magic fraternity, comfort of our unity to build and ignite our magical skills in enriching the beloved art form “Magic”. As you weave dreams of new hopes and aspirations to fill up each day of the New Year with excitement and hope, I wish that may all your dreams come true in the year 2014. Once again I wish all my readers Merry Christmas and a Happy New Year.